The cottage is not available for instant bookings. Min stay 2 nights - .Historic cottage renovated to high standard - easy access - comfortable and affordable - we haven't provided a cook top but a cute little BBQ is situated on the patio for cooking if required, the cottage is not set up for full scale cooking apart from that there are some fantastic restaurants in Greytown and Martinborough. You need to confirm your booking and let me know of this when you have decided. Suitable for one couple - smoking allowed outside - no pets - not suitable for children - price per night is for 1 double.. We always have the fire going for guests on arrival so the cottage is never cold - we are happy to stay up for late arrivals and have recently refurbished the cottage to a high standard. If you are looking for extensive cooking facilities this cottage may not be suitable - we have provided a small BBQ cast iron frying pans and pots a toaster jug and microwave. The cottage is not set up for full scale cooking or for entertaining. available during summer months to guests from xmas onwards. Went back and the hosts were as gracious as ever! They made sure our stay was memorable and everything was in order. Highly recommended. 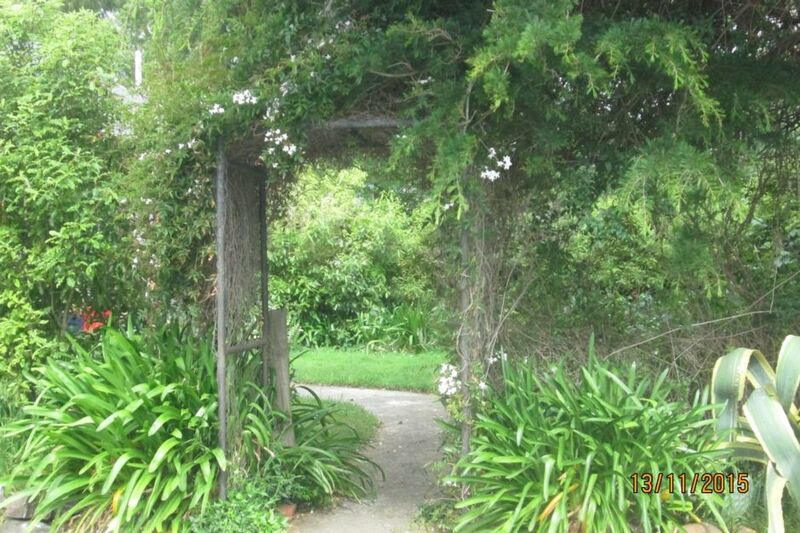 Really lovely quiet and relaxed location while being not too far from Greytown and Martinborough. What a little treasure! We felt like we were miles away from the rat race, but still close enough to Greytown for a flat white fix! The cottage was very cosy and comfy, with a backyard overlooking grazing sheep. Breakfast supplies and treats were plentiful, flowers were on the table and the fire ready to light. Luckily it was just cool enough to enjoy the fire both nights. Thank you so much for your hospitality. The cottage was clean and comfortable. Some nice little touches like fresh flowers to welcome you and bread, milk, tea bags , etc. We used it as a base when we went to the Wings over Wairarapa airshow - so we didn't spend much time there. But it was perfect as a base and not from from Greytown itself for a supermarket, restaurants etc.